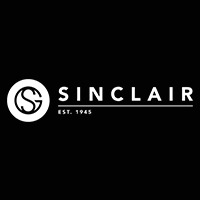 Sinclair Group is an award-winning, family-run car dealer group that has over 60 years of experience in the automotive retail industry. It is the largest dealership in Wales and operates 20 branches which represent several popular brands. The group specialises in the sale of new and used cars and vans. In addition to this, Sinclair Group dealerships provide customers with a range of other services such as MOTs, maintenance and repairs. It partakes in the Motability scheme which disabled drivers can benefit from, while fleet hire options are available for business users. In 1945, the company’s founder Bill Sinclair opened a car repairs workshop in Port Talbot following his return from the Second World War. Bill’s son, Gerald, began to work in the firm in the years that followed, helping to secure franchises with Audi and Volkswagen in the 1970s. Gerald Sinclair is the company’s current chairman and his two sons also work within the business. Under his leadership the company has won the title of ‘Retailer of the Year’ at the annual Mercedes-Benz Retailer Awards. On top of that, the group was rated 38 in the Motor Trader Top 200 list of franchised dealers 2016. Across its dealerships, the business stocks new cars from Audi, Mercedes-Benz, Nissan, SEAT, Skoda, Volkswagen and Smart. The company sells the latest models from these world-renowned brands providing customers with both prestige cars and models suited to everyday use. A number of used vehicles from other marques are also available. Browse the selection of Ford, Fiat, MINI, Mercedes-Benz, Vauxhall and Renault models available at Sinclair Group outlets, as well as used stock from other manufacturers.